Tell your friends about us and get a R50 voucher when they sign up! 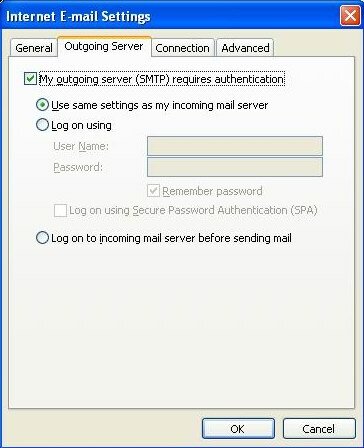 How do I change/reset my email password ? Enter domain name and FTP password to access a domain control panel. Select ‘Edit’ next to the applicable mailbox. Enter your new password (ensure you use a strong password). How can I get my mail whilst on the road ? 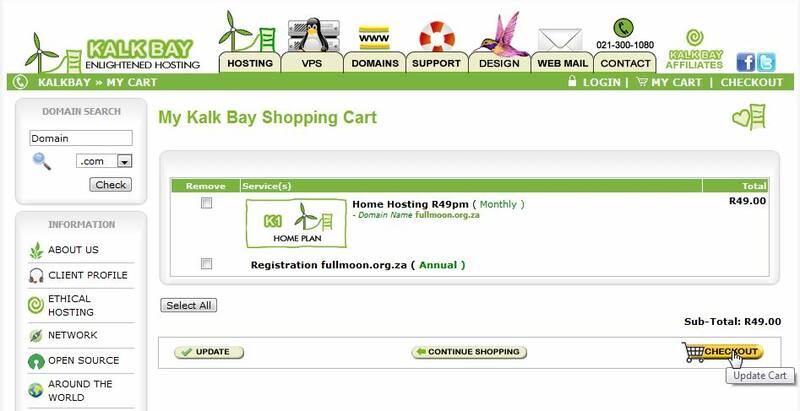 We provide you with your very own WebMail server which you can get by pointing your browser to www.kalkbay.co.za and then click on the Webmail icon. Simply login with your username and password to view your mail on the road. How do I get Statistics for my website ? 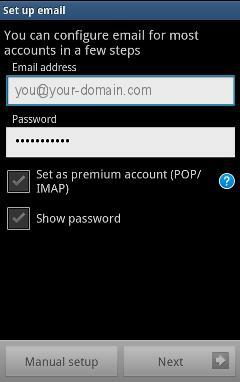 Login with your domain name and ftp password. I've made changes via FTP but they are not showing in my web browser. This is mostly due to caching, either in your browser or via your ISP`s caching server. Which FTP client do you recommend ? When I FTP to my site I do not see my HTML files ? Please confirm you have uploaded the files into the public_html folder, this is the root folder of your website. 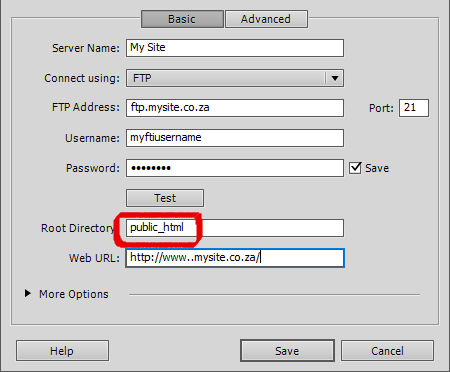 When you connect via FTP you will see a list of folders, you should enter inside the public_html folder and upload your site there. When your site is created we make a default index.htm as the site's landing page and this file should also be deleted. How do I set an auto-responder when I am away ? Your Auto Responder is now active. To test it, send an email to the address and see if you receive the auto response. Remember to remove it when you return from your travel! What software versions are you running ? •	PHP 5.3.3 and PHP 5.2.6 is also available. How do I setup my site on Kalkbay.co.za ? It’s easy! Please read this tutorial. 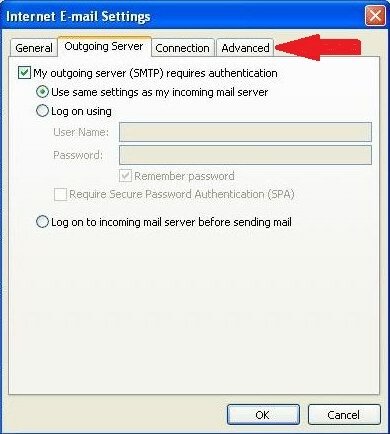 I am unable to send mail, it is repeatedly asking for a password ? This could be your ISP blocking port 25. Some ISP's in South Africa block port 25. Please try port 587 for sending mail, it should resolve the issue. How do I get my site noticed by the search engines ? This goes into 70+ search engines. Remember to link Twitter and Facebook to your page. Remember always to link back to your site. Setup Google Analytics on your site so you can track the traffic and which search engines have indexed the site. 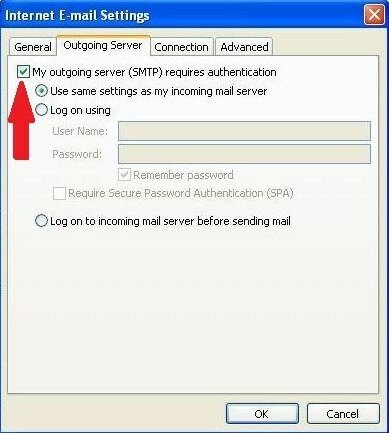 What are my e-mail server settings ? 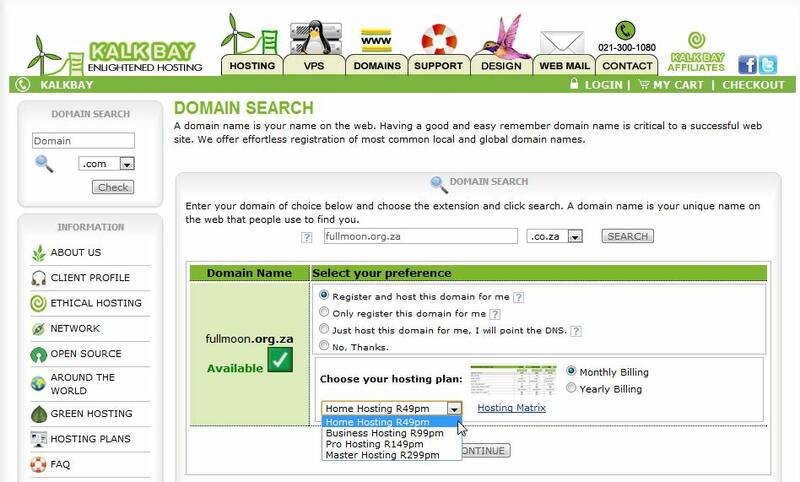 Your POP server is pop.yourdomain.co.za for example if your site is kalkbay.co.za then it's pop.kalkbay.co.za. SMTP port's are 25 or 587, we recommend 587 as some ISP's block port 25. 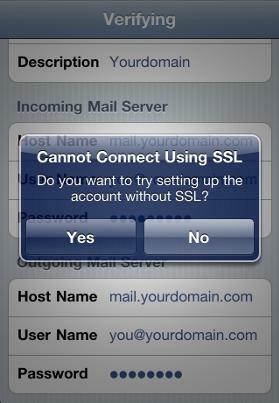 You must enable SMTP authentication to be able to send mail. How do I connect DreamWeaver to my site? How to setup your Kalk Bay Mail Account on Outlook 2007? Note if at any time you find these settings difficult to do you can request our support team to do it remotely via TeamViewer. Visit www.teamviewer.com and download and install the software. Run it and have the username and password ready and contact us to schedule a remote session. 5. Select Manually configure server settings. 11. Once at the Advanced tab, set the port for your outgoing server to 587.
server. If using this feature we suggest 30 days. 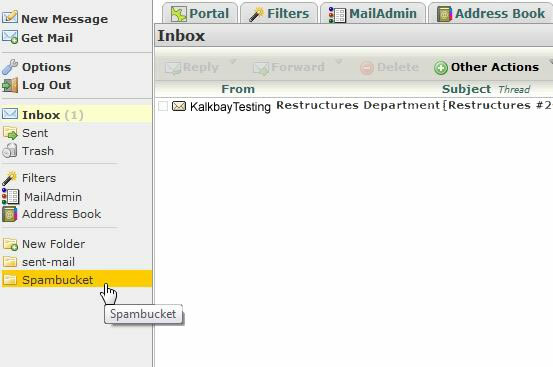 How to check the Spam Bucket? 2. 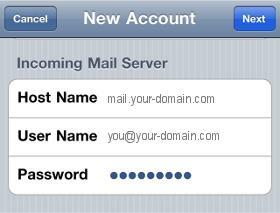 Login to webmail with username and password. 3. 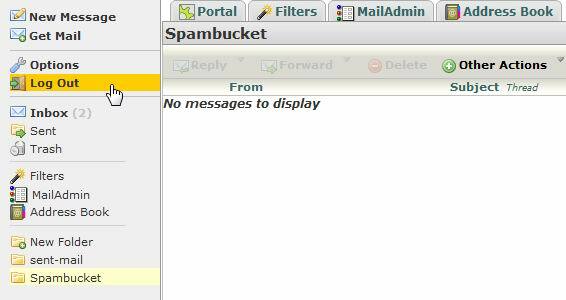 In the navigation column to the left of your screen, click Spam bucket. 4. E-mails that have mistakenly ended up in your spam bucket can be moved back to your inbox.Left click on the e-mail message and drag it to the inbox folder in the column on the left. The message is instantly removed from your spam bucket and moved to your inbox. To move one or more e-mail, check all the boxes of the e-mails you want to move to inbox and drag and drop to inbox. 5. 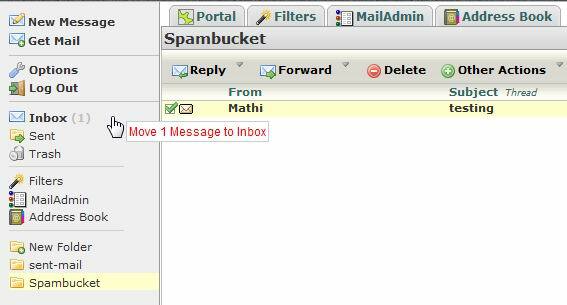 When you have finished checking your spam bucket click Log Out in the column on the left. Note: If at any time you find these settings difficult to do you can request our support team to do it remotely via TeamViewer. Visit www.teamviewer.com and download and install the software. Run it and have the username and password ready and contact us to schedule a remote session or call 021-300-1080. 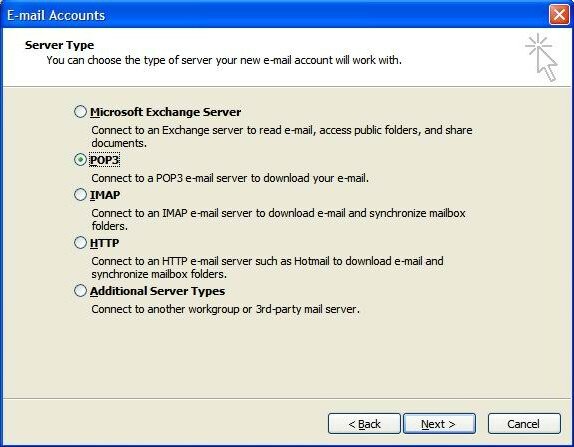 How to setup your Kalk Bay Mail Account on Outlook 2003? Select Tools > E-mail Accounts. 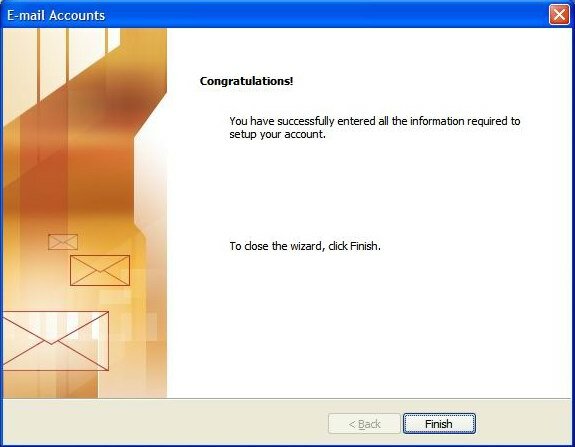 On the E-mail Accounts wizard window, select Add a new e-mail account, and then click Next. For your server type, select POP3 or IMAP, and then click Next. 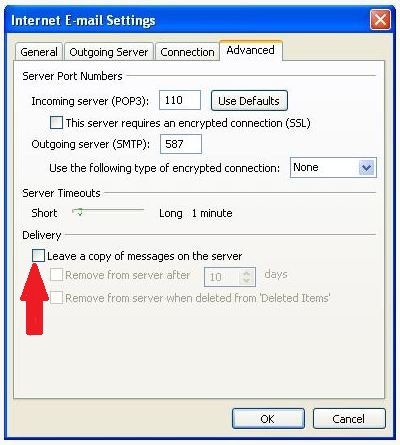 On the Internet E-mail Settings window, go to the Outgoing Server tab. 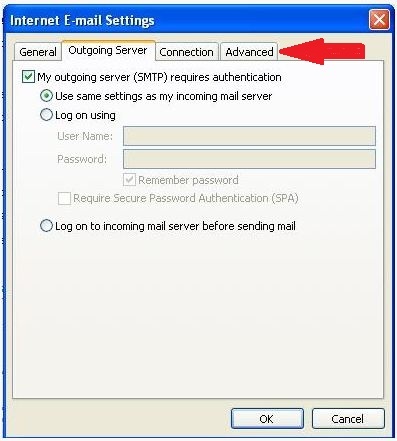 Go to the Advanced tab, and then change the Outgoing server (SMTP) port to 587. That’s it well done. 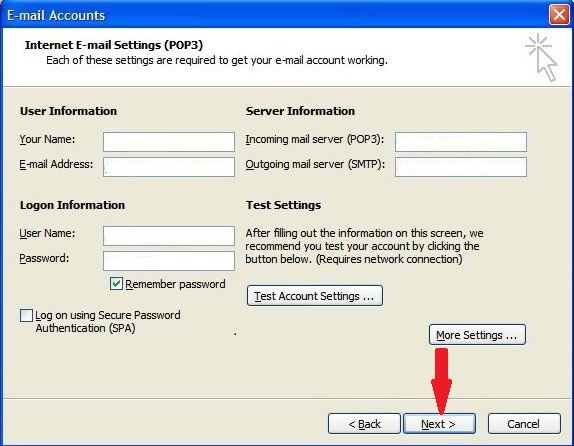 You should now be able to send and receive your e-mail in Outlook 2003. 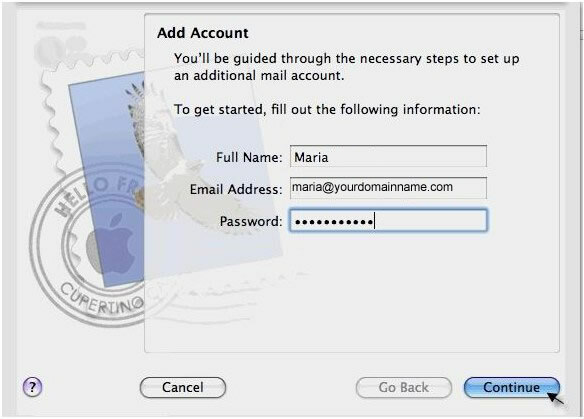 How to setup your Kalk Bay Mail Account on Mac mail? 1. 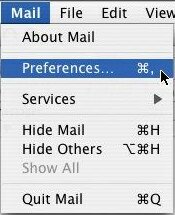 In Mac Mail, go to the Mail menu and click on Preferences. 2. 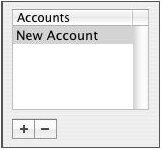 Go to the Accounts tab, and then click the plus sign(+) at the bottom of the Accounts box. 3. 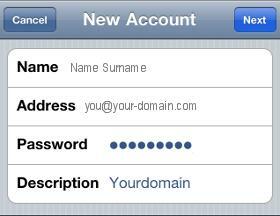 In the Add Account window, enter your full name, email address and email password. Description: The name of your account. 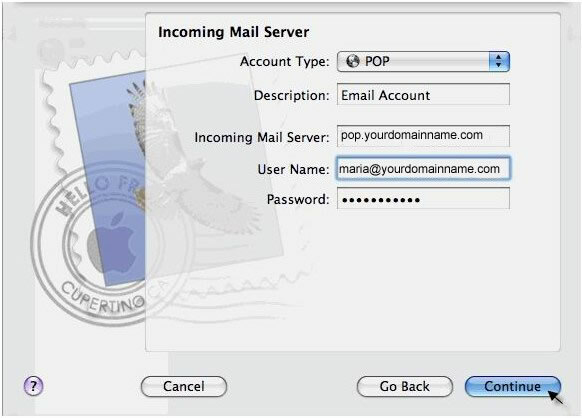 Description: The name for this mail server (e.g.yourdomainname.com). 8. Check the Use only this server box. 9. Check the Use Authentication box, and then enter your User Name and Email Address. Click Continue. 10. 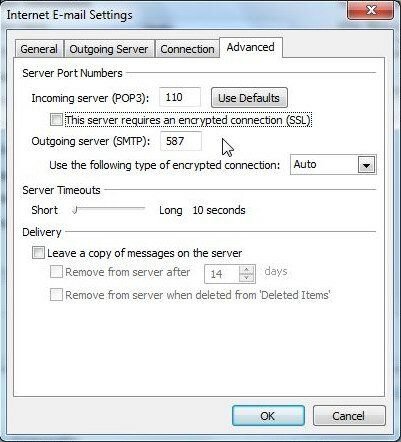 We suggest you to use 587 for SMTP port. That’s it well done. You should now be able to send and receive your e-mail in Mac mail. How to setup your Kalk Bay Mail Account on Outlook 2010? 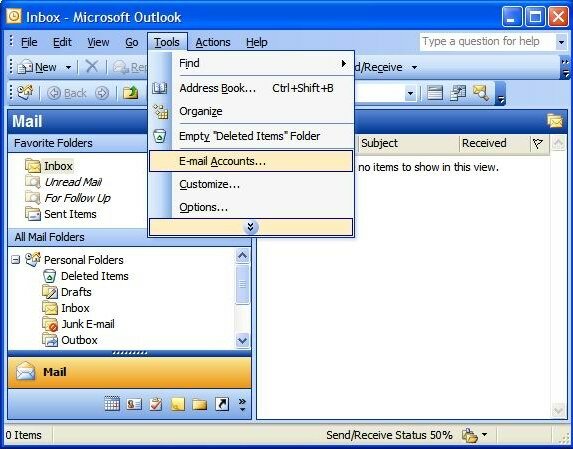 Open Microsoft Outlook 2010. Click File, and then click Add Account. 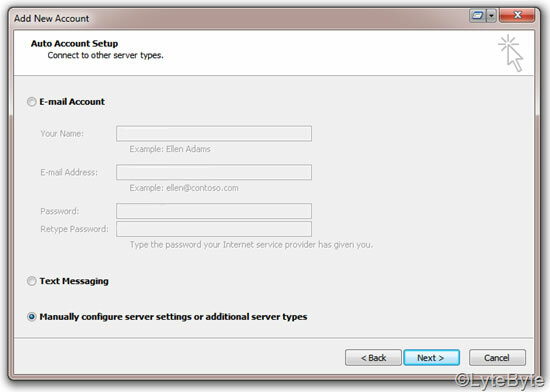 At the bottom, select Manually configure server settings or additional server types, and click Next. Select Internet E-mail, and click Next. Click the Outgoing Server tab. 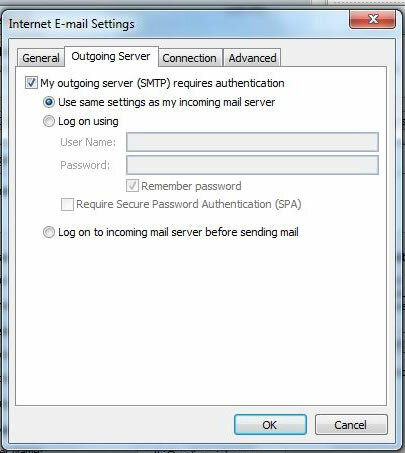 Select My outgoing server (SMTP) requires authentication and Use same settings as my incoming mail server. Next go to the Advanced tab, and then change the Outgoing server (SMTP) port to 587. 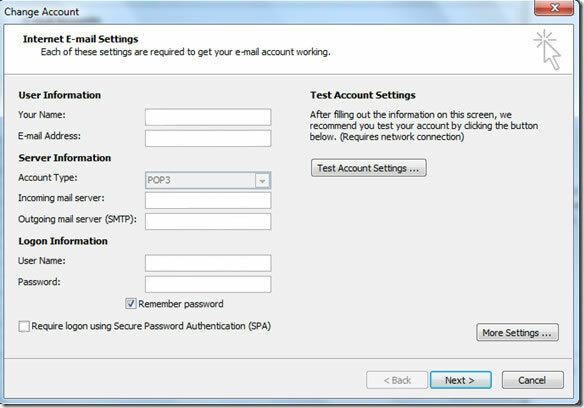 Then click OK.
Outlook 2010 will test your settings. When it’s done, click Close. How do I edit my debit order? 4. You will be redirect to your account information page. 7. That’s it. You have changed your debit order details. Any questions please contact us or call 021-300-1080. How do I edit my credit card details? 7. That’s it. You have changed your credit card details. How to search for a domain? 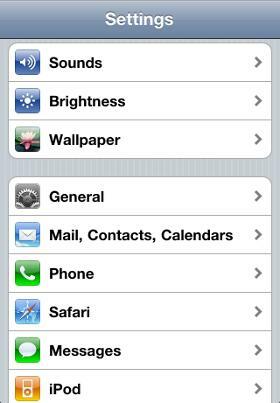 How to setup your Kalk Bay Mail Account on iPhone? 10. You will then be prompted to "Save" or "Edit", you can select "Save". 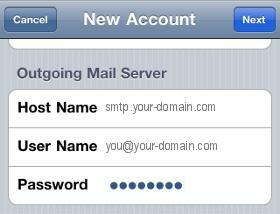 Congratulations, you have now successfully configured your email account on your iPhone. 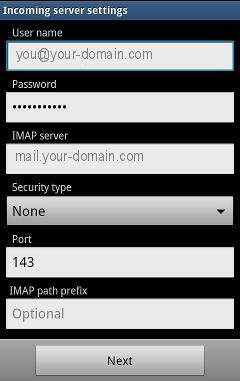 How to setup your Kalk Bay Mail Account on Android Samsung? 1. 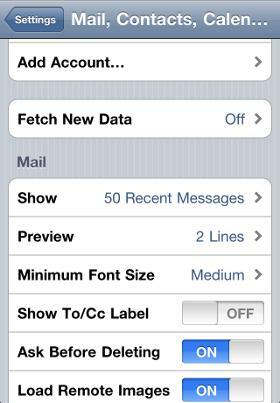 Start by selecting the mail icon from your applications screen. 8. The account has been set up successfully and your messages will now be downloaded. That’s it well done. You should now be able to send and receive your e-mail. 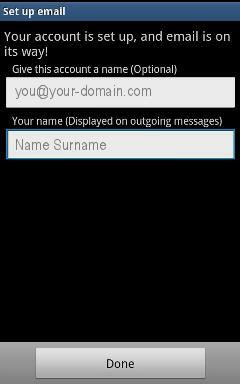 How to create an email address or email alias for my domain? 1. Browse to konsoleH (http://www.kalkbay.co.za/manage.php). 2. Enter your domain name and FTP password to login. 3. Click ‘Mail’ from the left-hand menu. 4. 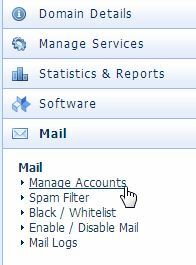 Click ‘Manage Accounts’ under Mail. 5. 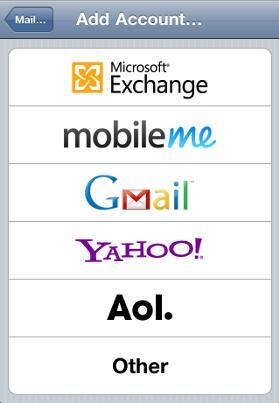 The main window is where all your active email accounts and aliases will be displayed. 7. Enter the required information. That’s it well done. You should now be able to send and receive your e-mails. 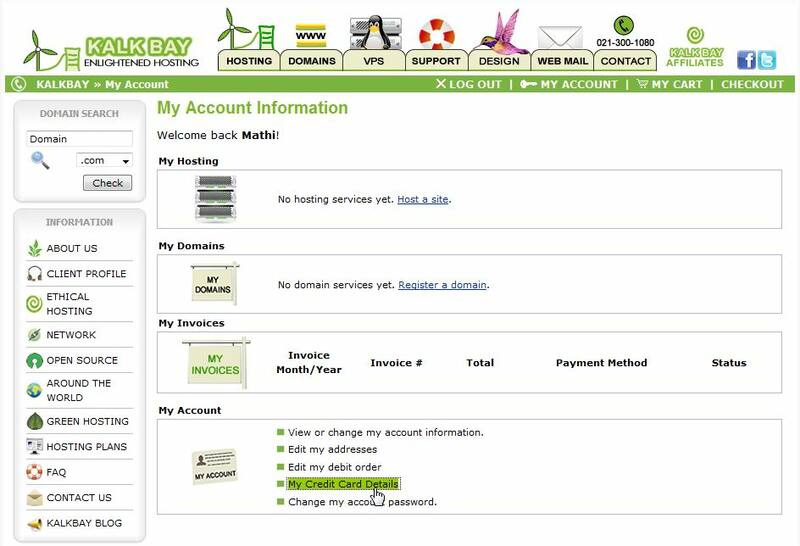 How to setup your Kalk Bay Mail Account on Blackberry? 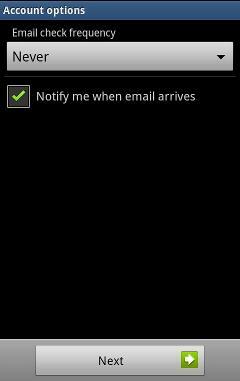 Please Note Blackberry phones differ in the way that email is setup on it. 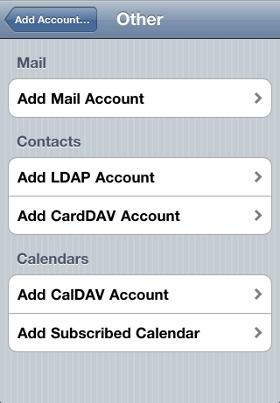 This article will cover the basics of email setup on Blackberry phones using the Blackberry Curve 8520 as an example. Even though your phone might be slightly different, the same basic principles should apply. 1. Press the Blackberry button on your phone. 3. 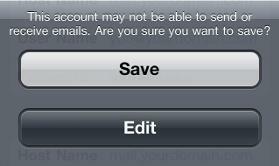 Select “Email Settings” or "Email Accounts". 4. 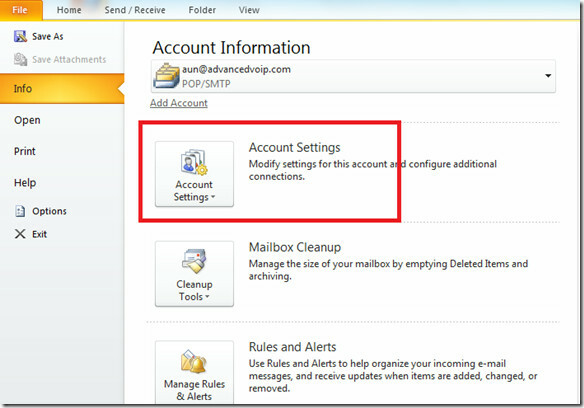 Some models have an additional step asking you which type of account to setup. 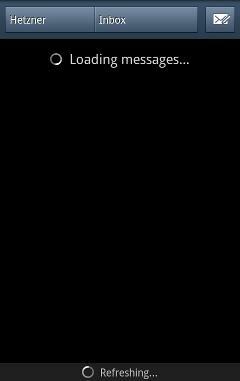 Select “Internet Mail Account” if your phone displays this screen. 5. 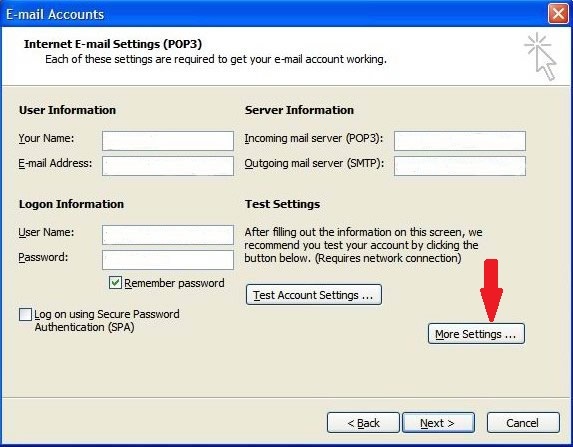 Select “Add” or “Set up another email account” and then scroll down and select “Other”. 7. Click “Next” or “Continue” to finish your email setup. IMAP is not syncing with Outlook 2010 or Office 365. Please set the root folder to be Inbox. Earn 15% commission simply by linking to Kalk Bay!